PITTSBURG, Kansas – Ascension Via Christi has an agreement to operate Fort Scott’s emergency room, diagnostic imaging and laboratory services, as soon as it can get regulatory approval to do so. 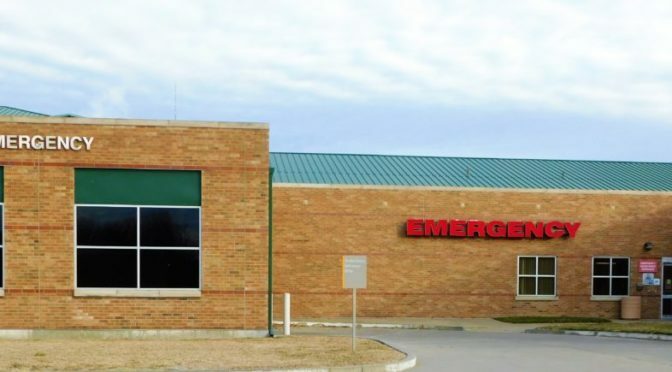 As planned, Mercy Hospital will close the emergency room in Fort Scott at midnight on Jan. 31. Therefore, there will be a gap in service while regulatory inspections to operate under new management are obtained. During that time, ambulance service will continue to be available to respond to 911 emergency calls. EMS’ well-trained staff is aware of all options for treatment and will have two crews available to respond to calls and transport, as may be necessary to the four hospitals located within an hour drive, including Ascension Via Christi Hospital in Pittsburg. Under the agreement, Ascension Via Christi will lease approximately 16,000-square feet of clinical space from Mercy and Ascension Via Christi Hospital in Pittsburg will manage the emergency and outpatient services in Fort Scott. Mercy announced the closure of its Fort Scott hospital in October, along with plans to pursue opportunities to transfer certain services to other area providers. Under the agreement, Ascension Via Christi Hospital in Pittsburg will manage emergency and outpatient services at the Fort Scott hospital location. “We have worked diligently to retain the staff working at Mercy Fort Scott and are in the process of recruiting and onboarding the clinical and non-clinical associates we’ll need to staff services in Fort Scott,” said Randy Cason, president of Ascension Via Christi Hospital in Pittsburg, adding that having an emergency room is critical for the residents of Fort Scott and surrounding communities. Someone with the where-with-all to take over and manage the place. Hopefully, the clinic and outpatient services can expand to meet community needs.